To protect its intellectual property, Plaintiff has copyrighted the artwork and design of the Power Rangers uniforms (“Uniform Copyrights”) and also owns the copyrights in the television series where they are depicted. In addition, Plaintiff has copyrighted the characters in a style guide that is provides to authorized licensees. Further, Plaintiff is the owner of numerous USPTO trademark registrations incorporating the “Power Rangers” word mark and several USPTO registered trademarks for the Power Rangers character images. 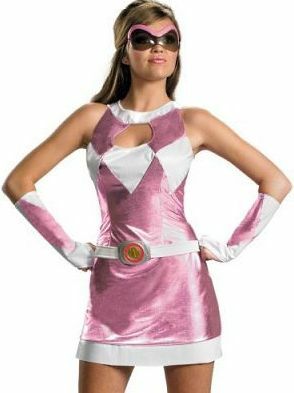 Plaintiff accuses Underdog Endeavors, Inc. of advertising and selling Halloween costumes (one image shown here) on its www.mypartyshirt.com site that infringe Plaintiff’s “intellectual property rights relating to the popular ‘Power Rangers’ television series, brand, and related products.” In addition to the copyright and trademark infringement claims, Plaintiff brings causes of action for trademark dilution and unfair competition under Section 43(a) of the Lanham Act. As a side note, Underdog’s placement of the allegedly infringing products on its website should constitute sufficiently widespread advertising activity to trigger coverage under its Commercial General Liability Insurance (“CGLI”) policy, which policy was hopefully in place before the alleged infringement began. Hyundai Motor Am. v. Nat’l Union Fire Ins. Co., 600 F.3d 1092 (9th Cir. 2010). Most CGLI policies have an advertising injury provision under which copyright, trade dress, and sometimes trademark infringement claims are covered and the insurance company has a duty to pay attorneys’ fees and costs to defend the insured against such claims. Are Halloween costumes copyrightable because they are garments, you ask? Although a broad category of creative works are eligible for copyright protection, the Copyright Act, however, excludes any “useful article” (e.g. clothing) – defined as “an article having an intrinsic utilitarian function that is not merely to portray the appearance of the article or to convey information” – from copyright protection. Thus although garments as a whole are not eligible for copyright protection, the individual design elements – for example a floral graphic applied to the fabric – may be copyrightable. In Chosun, the Second Circuit held that Halloween costumes may be copyrightable if the design elements are separable from the overall function of the costume as clothing. Chosun Int’l, Inc. v. Chrisha Creations, Ltd., 413 F.3d 324 (2d Cir. 2005). The case is SCG Power Rangers, LLC v. Underdog Endeavors, Inc., CV11-08485 JHN (C.D. Cal. 2011).